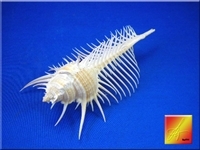 Home > Medium Sized Seashells > Murex Shells 1-3" > Venus Comb 2-3"
! Careful, extremely sharp tips. !